After her exploits in her first outing, FROZEN OUT, the admirable Gunnhilder Gisladottir has been transferred to Reykjavik, newly promoted to Sergeant - although because of the financial crisis she doesn't receive any additional money. She still lives in Hvalvik with her teenage daughter Laufey, commuting to work each day. As the novel opens, Gunna (as she's universally known) hears that a local career-criminal has escaped from prison. This strikes the police as very odd, as the man was nearly eligible for parole. Nevertheless, they follow his trail via the discovery of various old friends of his whom he has beaten up, and via a rather amusingly ludicrous bank robbery. While Gunna is searching for the escaped prisoner, she is called to a murder scene. A young woman called Svana Giers has been killed in her apartment. Svana was a minor celebrity who had dropped out of the public eye and had invested in a gym and fitness studio. Gunna tracks down Svana's business partner, and is soon embroiled in investigating a ring of suspects, including an MP as well as sundry businessmen who do their best to keep Gunna away from the truth about their personal and professional lives, as well as Svana's . COLD COMFORT describes how these cases pan out, interwoven with a subplot about an increasingly desperate man called Jon which is clearly going to be relevant to the main investigation(s). At the same time, the reader is given an enormous amount of detail about Icelandic ways of life at both ends of the social scale; Gunna's domestic arrangements; and the general day-to-day minutiae of the police team's work, all of which combine to make a 300-page book seem longer than it is. The crime plot(s) are well-constructed (but require concentration), yet other than the capable Gunna herself it is hard to identify with the characters and hence get truly involved in the story. 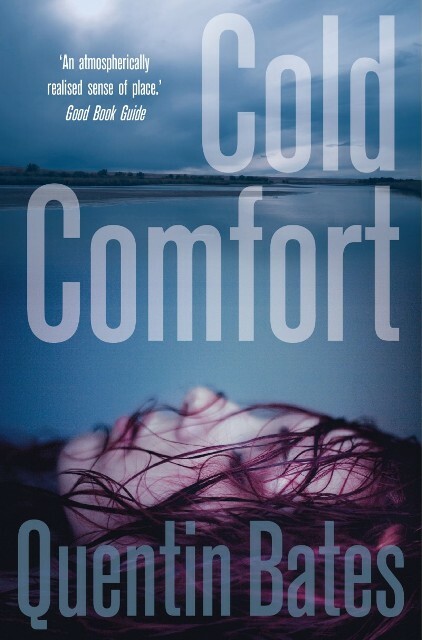 COLD COMFORT is a very solid crime novel, perhaps at its strongest in how it conveys the personal costs of Iceland's comprehensive financial crash to those in all walks of life – providing, perhaps, a strong motive for murder.